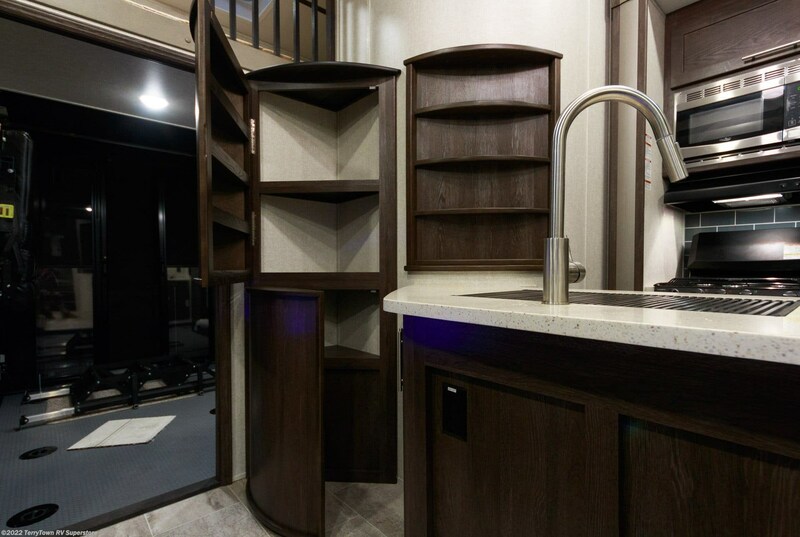 TerryTown RV in Grand Rapids, Michigan has been a top RV dealer for over four decades, selling 5th wheels, travel trailers, and more at unbeatable wholesale prices! 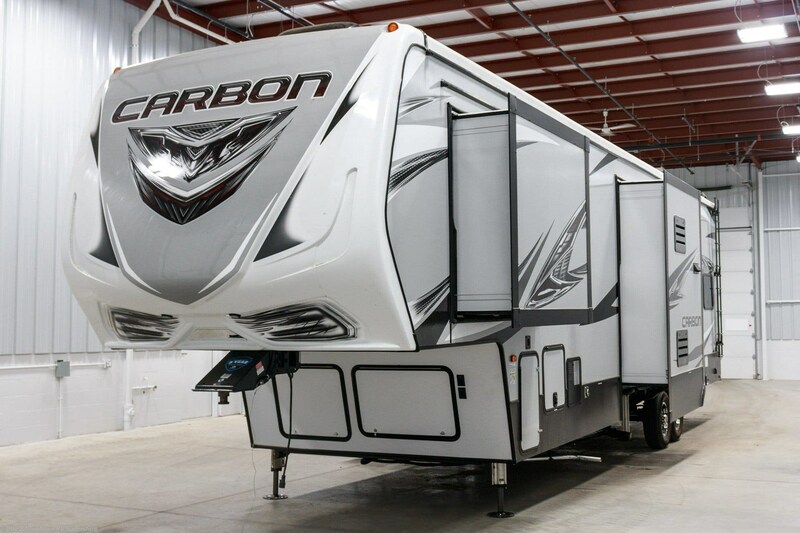 And that includes the 2019 Keystone Carbon 357. 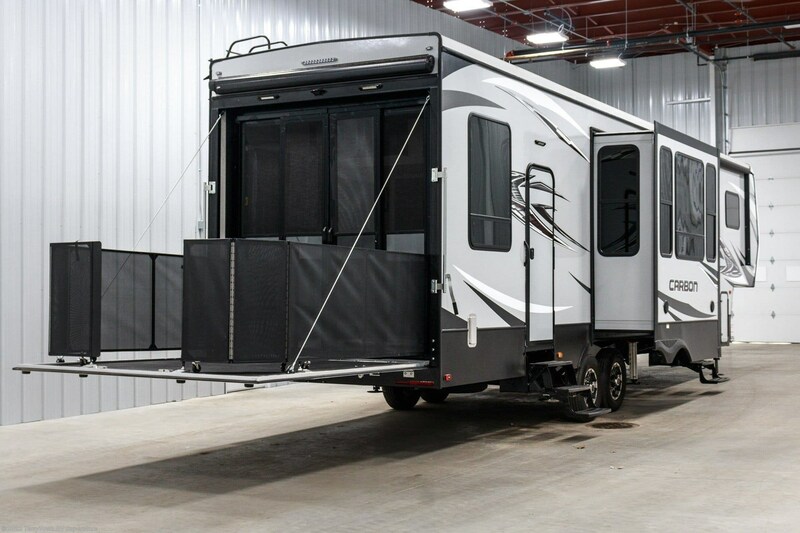 If you're wondering whether you can afford this great 5th Wheel Toy Hauler, chances are you can because we have financing to fit almost every budget! 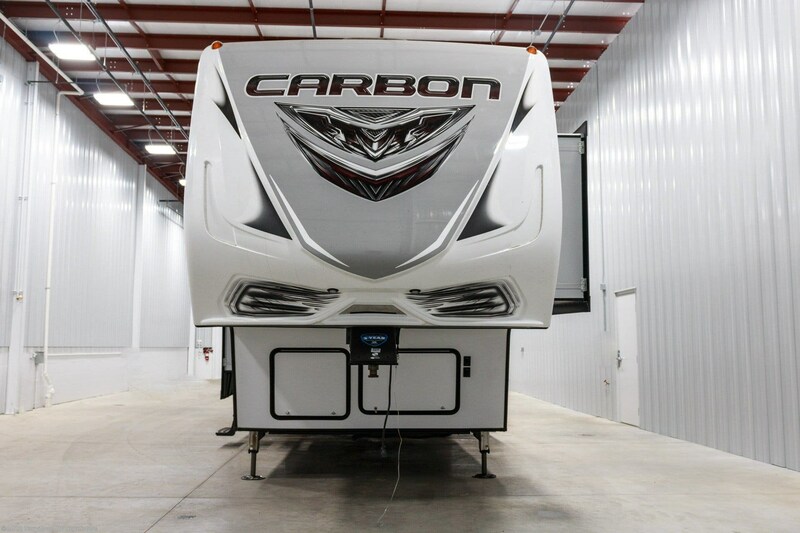 So stop in today at 7145 Division Ave S Grand Rapids Michigan 49548 and let one of our friendly, knowledgeable staff show you how we can make your RV dream a reality! Or, give us a call at 616-455-5590! 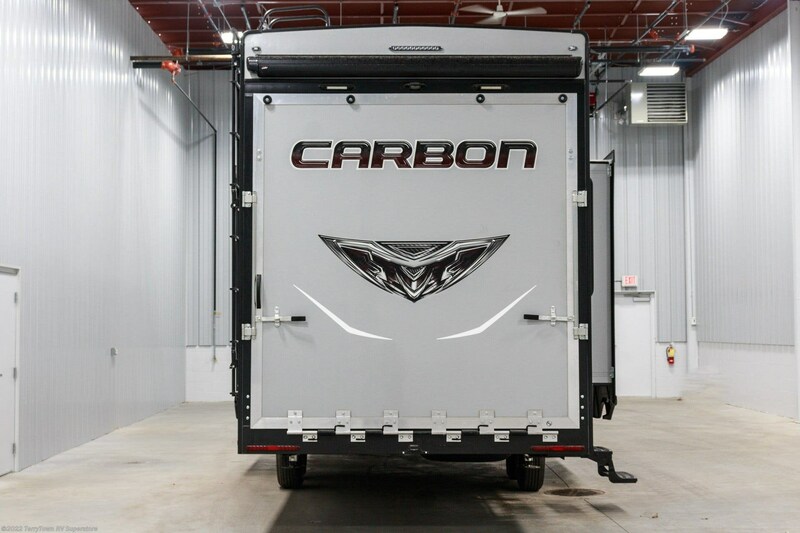 With our 24/7 fast delivery across North America, your Carbon 357 could be at your door tomorrow! 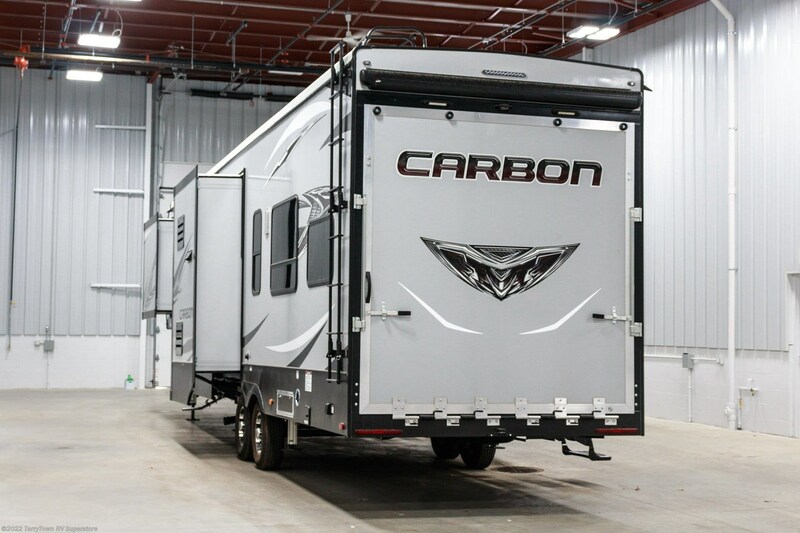 The 2019 Keystone Carbon 357 is built to last, with a sturdy GVWR of 17000 lbs. and a hitch weight of 3060 lbs. 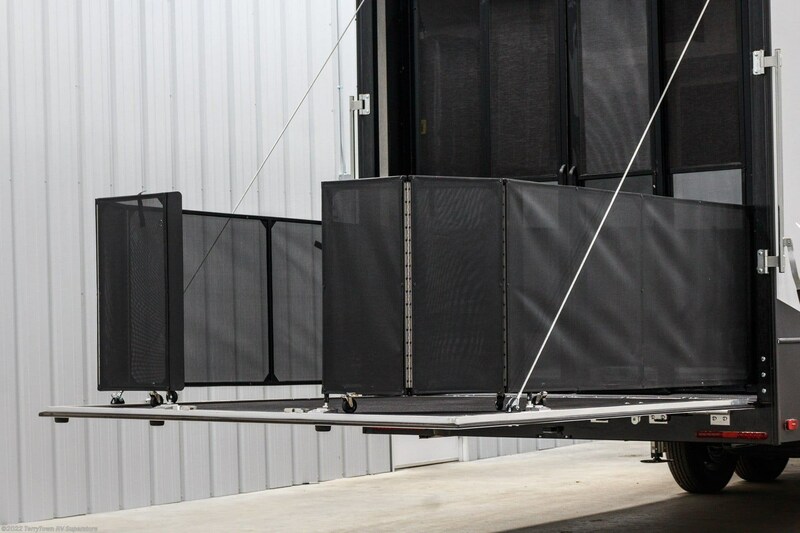 The 15' 0" patio awning provides shade and UV protection for all your outdoor living! 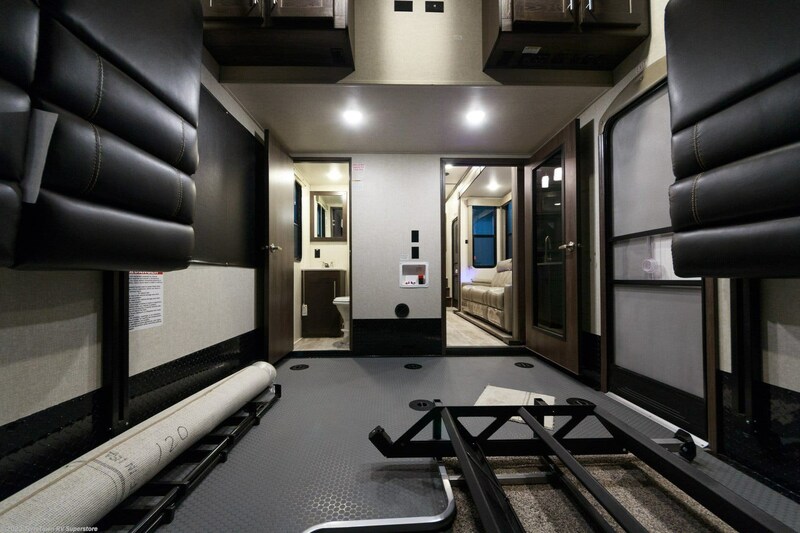 After a full day of RV fun, nothing feels better than snuggling down into your own bed for a good night's sleep. 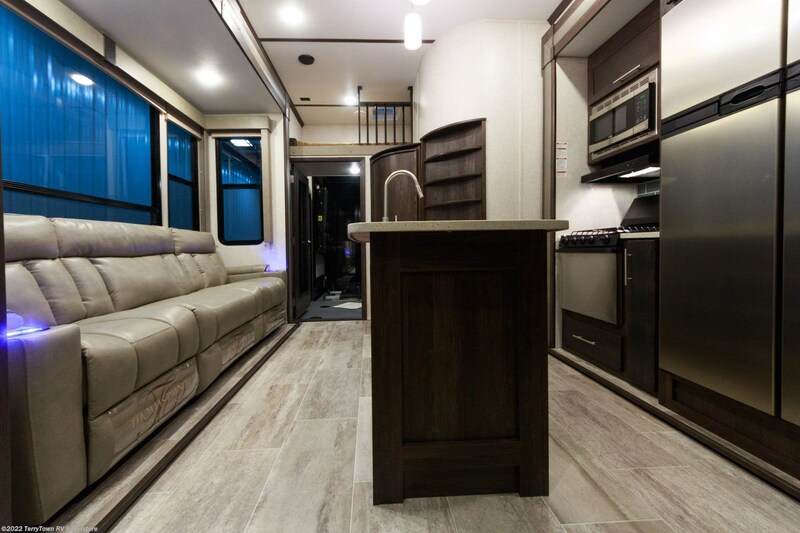 This 5th Wheel Toy Hauler is roomy enough to sleep 6 people! 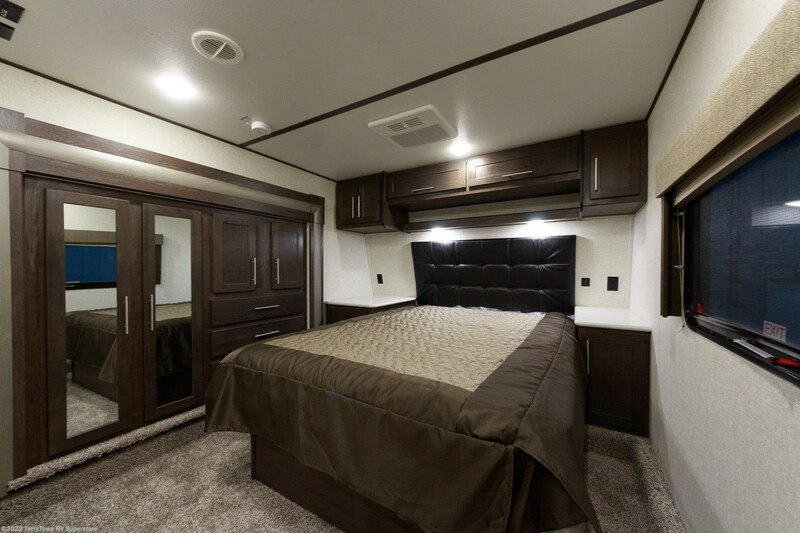 You can enjoy the spacious comfort of a Queen bed in the master bedroom. What better way to satisfy your cravings than with a hearty meal cooked in the kitchen! 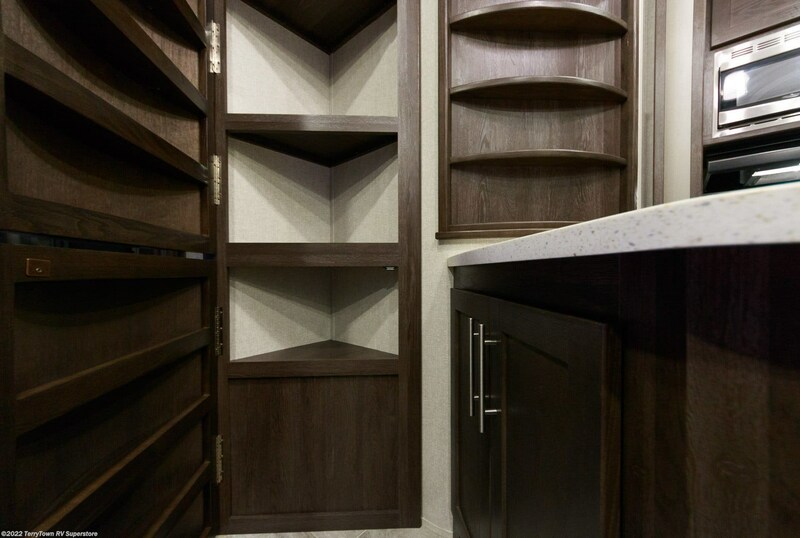 You can store an abundance of fresh food in the 12.00 cu. 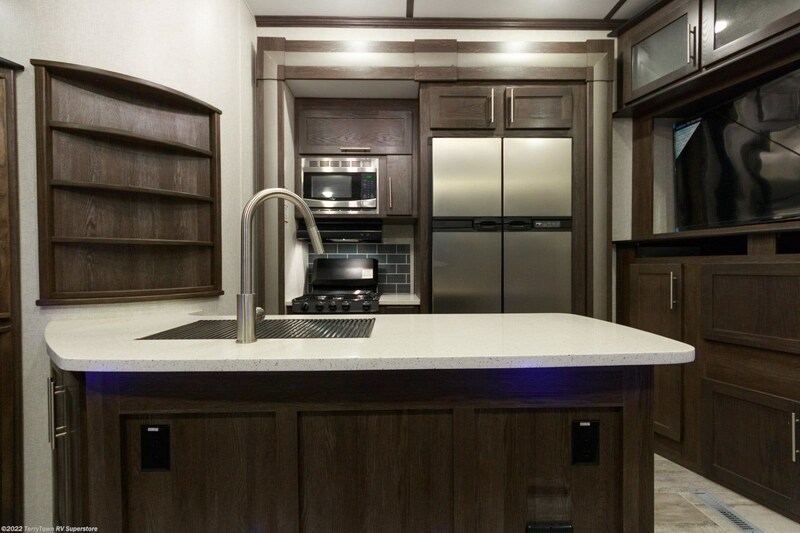 ft. refrigerator, and then whip up a hot dish with the 3 burner range cooktop! You'll have enough refreshing, clean water for your family's needs with the massive 110 gallon freshwater tank! 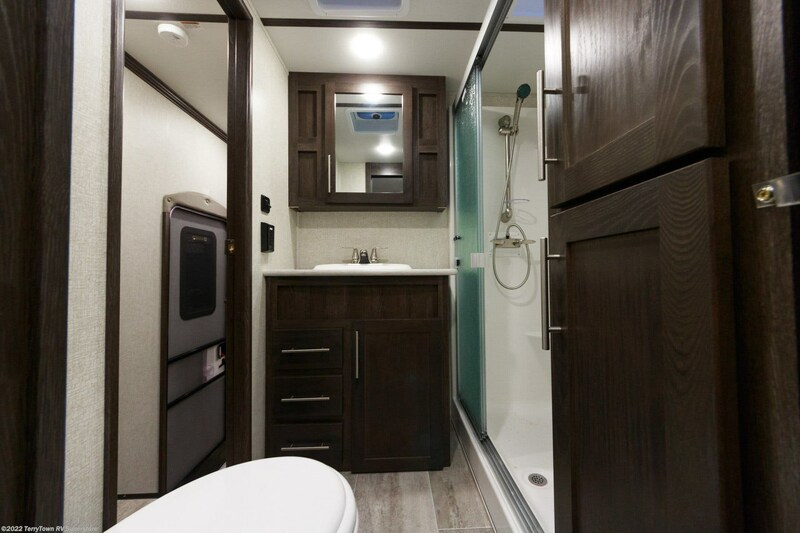 When you're on the road, nothing beats the convenience of a full bathroom in your RV! 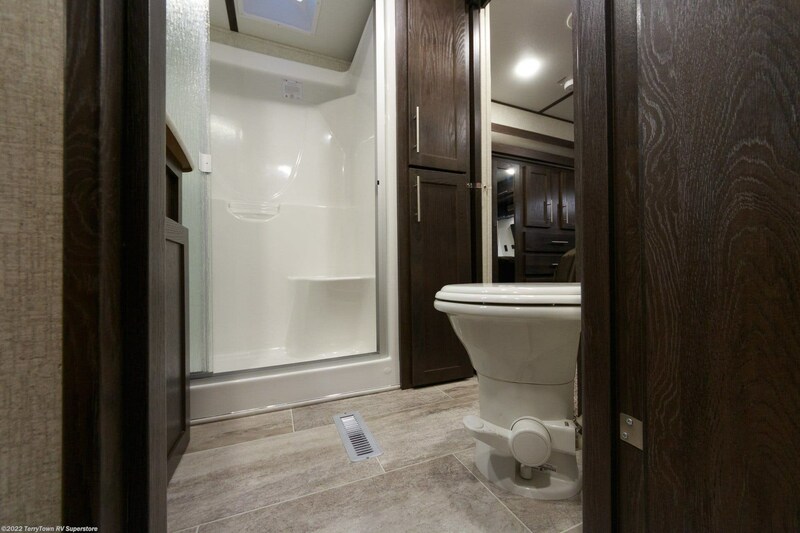 As you might imagine, the 2019 Keystone Carbon 357 has a beautiful bathroom, complete with a shower and a sleek Porcelain Foot Flush toilet! 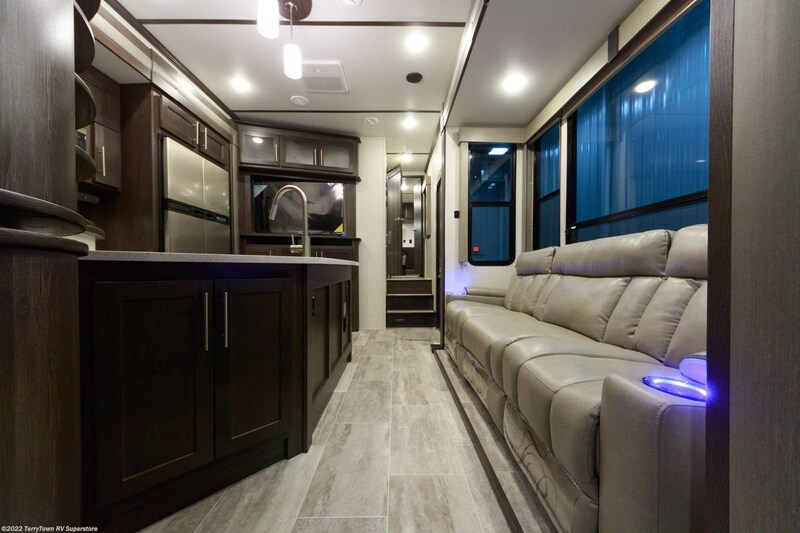 It's roomy, comfortable, and private! 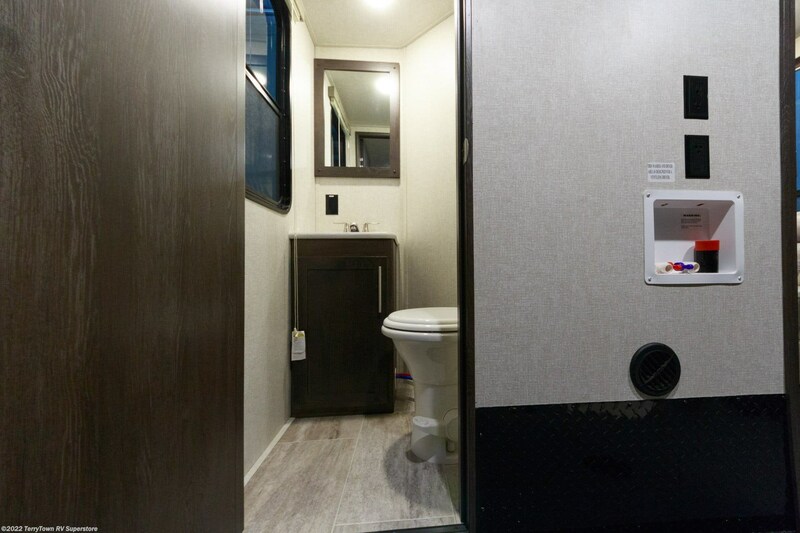 This RV has a 82 gallon gray water tank and a 82 gallon black water tank, so there won't be any bathroom-related issues on the road!andnbsp;Got some outdoor toys you want to bring along on your camping adventure? No worries! 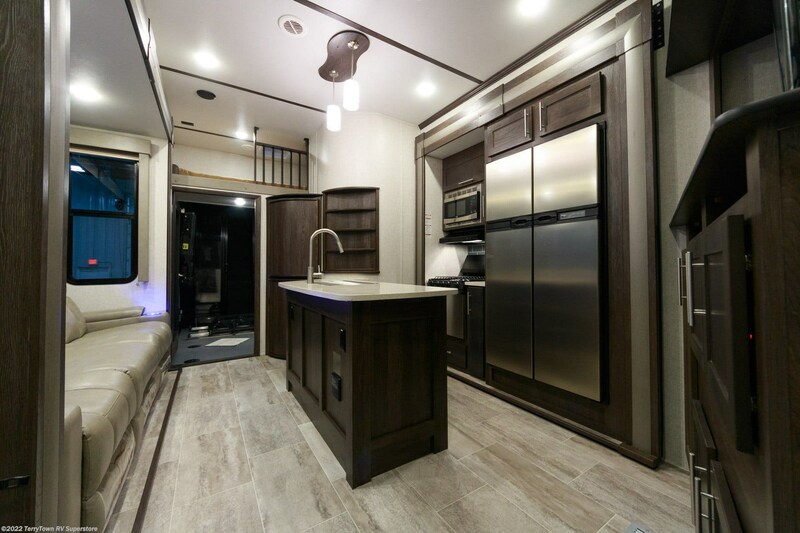 This 5th Wheel Toy Hauler has a big 11' 0" garage that can hold 'em all! And the rugged cargo capacity of 4158 lbs. 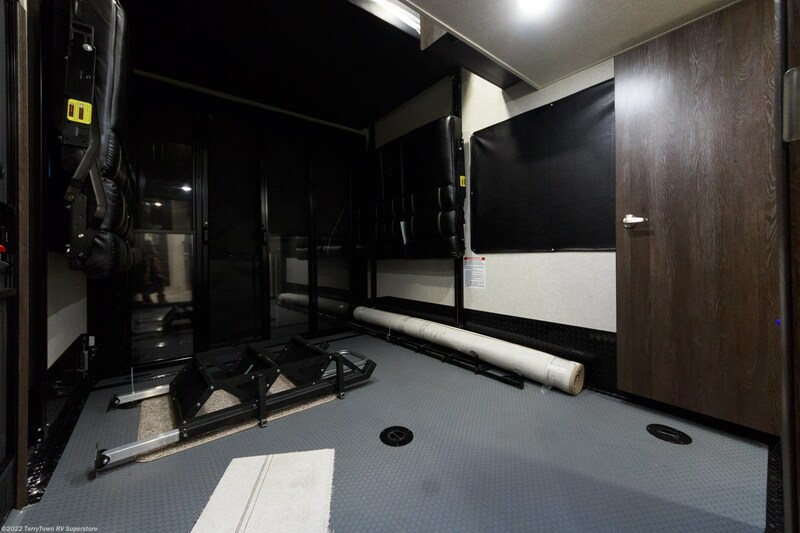 means this rig can handle the load with ease!andnbsp;There are so many cozy sleeping accommodations for the family in this RV! 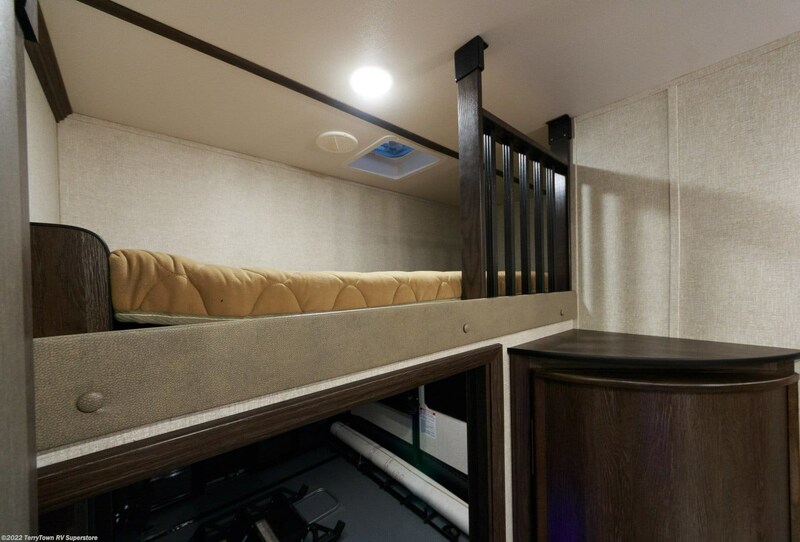 The loft bed is especially comfortable, hidden up above! 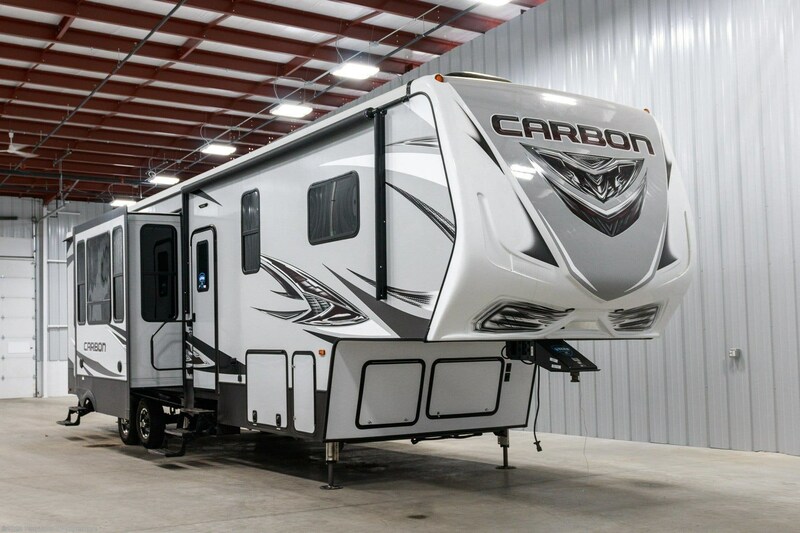 Check out Stock # 35115 - 2019 Keystone Carbon 357 on keystonervsource.com!